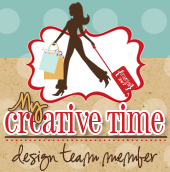 Hello My Creative Time Peeps! I hope you are having a great day so far! We just finished week one of summer vacation at our home and I thought I would do another summer Smash Series on my Youtube Channel. It's so hard to keep up but I am getting all of our memories in one book! So since today is Scrapping the Little Things at MCT, I thought this would fit perfectly! We went for a ride on our ATV (razor) up to the mountains last weekend. It was cold and raining but the kids had a blast! I used MCT stamps and dies on my pages. OMG Im in love with the Stitched Capture Frame with Arrow Die!!!! Super cute right?? Check out the video!!! Yes I made a video and more to come! MCT makes it so easy to create these fun pages!!!! Don't forget to visit the rest of the design team members for more ideas! Take care and have a great day!!! What great pages you really are great at this. Loved your little story too. I really love how your pages tell the story. So talented and creative thanks for extra ideas on using Emma's things. Love your pages. Love your videos! I like the fast pace. Nancy ~ Oh I just watched your video ~ LOVE that song! LOL! Any way ~ I have to say your are the QUEEN of smashing! LOVE all the pictures, the layout and elements as always! I bet you all had a blast even if it rained! We want a Razor too! They look like so much fun! AWESOME as always! Super job on your layout. The Journaling dies and stamps are perfect for this. I also like the Stitched Frames and arrow dies. Emma's products work so well with layouts.